“The old woman fed them steaming bowls of soup and creamy pudding. Once they had eaten their fill, she led her two young guests into a cozy room and tucked them into clean, warm beds. ‘Can you believe how lucky we are?’ Gretel asked drowsily. 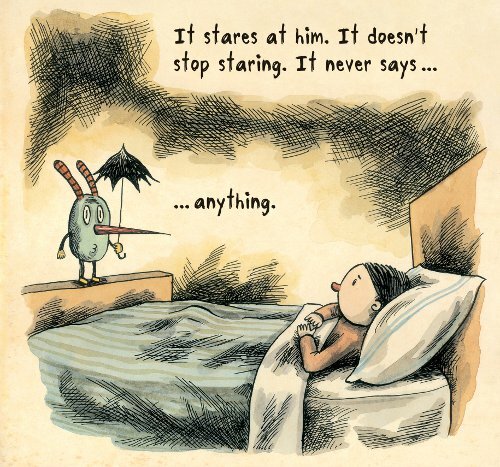 In the spirit of Halloween this week, I’m sharing a conversation I started via email about a month ago with bloggers Betsy Bird, Travis Jonker, and Minh Lê about picture books that we find either delightfully unsettling or hard to nail down in some way or those that flat-out scare us. It’s hard to land on one good description for the books we ended up discussing, which is why I have the post title I do up there (it’s a quote that Travis mentions below). It’s not a very exciting title, and it’s not going to grab anyone’s attention, but I’ve never been good at that anyway. I didn’t want to use the word “scary” or “horror” in the title, ’cause that doesn’t quite fit as a description for all of these books. Something that gives you chills, after all, you can also find beautiful. Oh, up above is a spread from Holly Hobbie’s newest book about Hansel and Gretel. I mean, LOOK AT THAT WITCH’S FACE. There’s another spread below, and it’s even scarier. 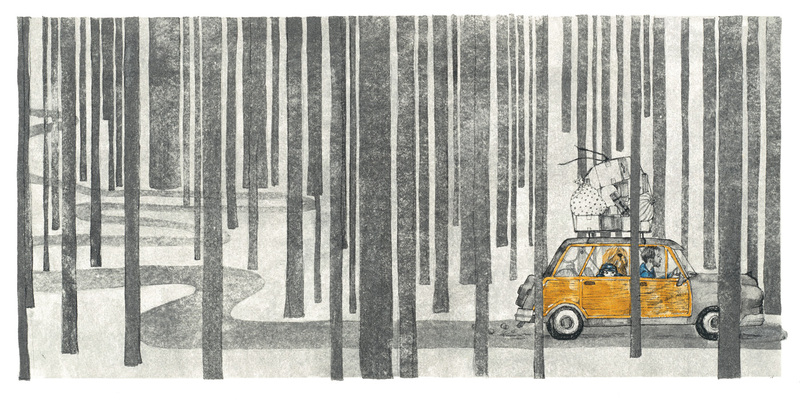 There’s also art in this post from Matt Myers, Erin Stead, Liniers, Eric Rohmann, and more. Oh, and happy Halloween to all. May you get lots of treats. Jules: Hello there, Minh, Betsy, and Travis Hard J Jonker! Thanks for chatting with me about this. 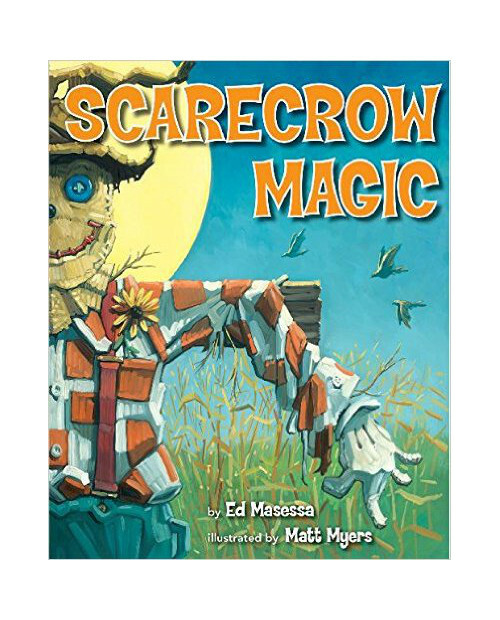 I asked you all to join me, because somehow several months ago (I can’t remember how that conversation started), we four got onto the topic of Ed Masessa’s Scarecrow Magic, illustrated by Matt Myers, and how much it scared the everlovin’ bejeebus out of each of us. I think I had just emailed to ask you all if you’d seen it, because you all are people I can randomly email about picture books and you will just answer me. Thanks for that. “He jumps from his post, landing light as a pin. With a zip and a swoosh, he slips out of his skin. 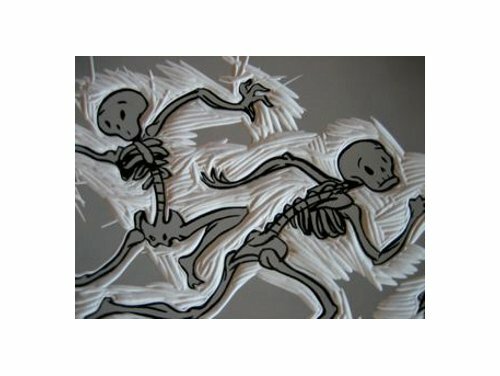 Bones rattle and sway in their own clever way. Anyway, so wonderfully odd, this book. The first of its oddities was that it had a Summer release date (June, of all things), yet it’s so Halloween-esque, what with its goblins, ghoulies, and ghosties. 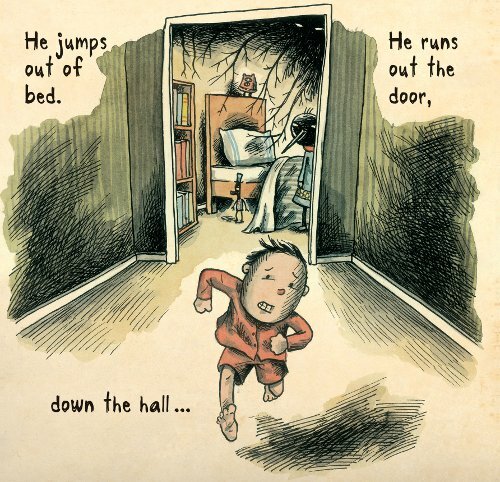 I mean, lots of picture books have ghosties, but to me Myers gave the illustrations a disturbing creepiness. 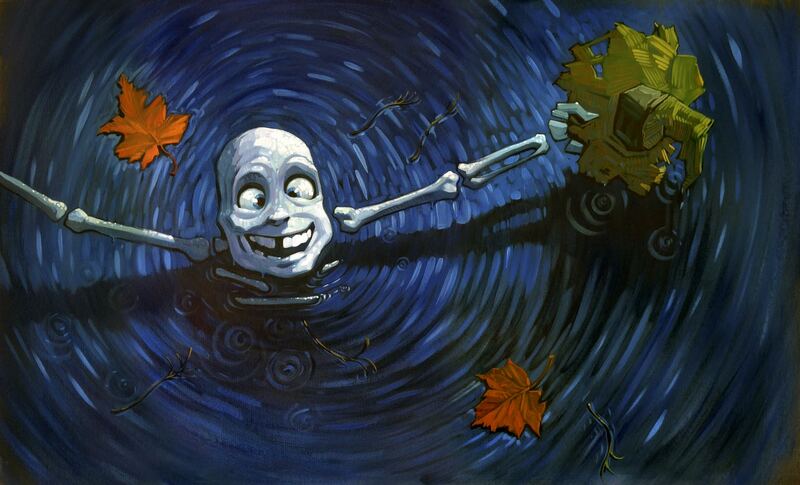 For one, the bones boy who jumps from the scarecrow ropes and breaks free? YIGGEDY. The spread where he’s looking up out of the water with crossed eyes. Hoo boy. 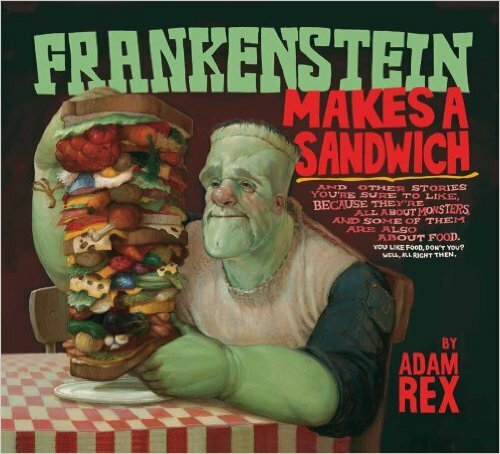 It’s like the book never attempts to be scary-lite, like you see with a lot of Halloween picture books. Or maybe it did go for that, and I’m weird. 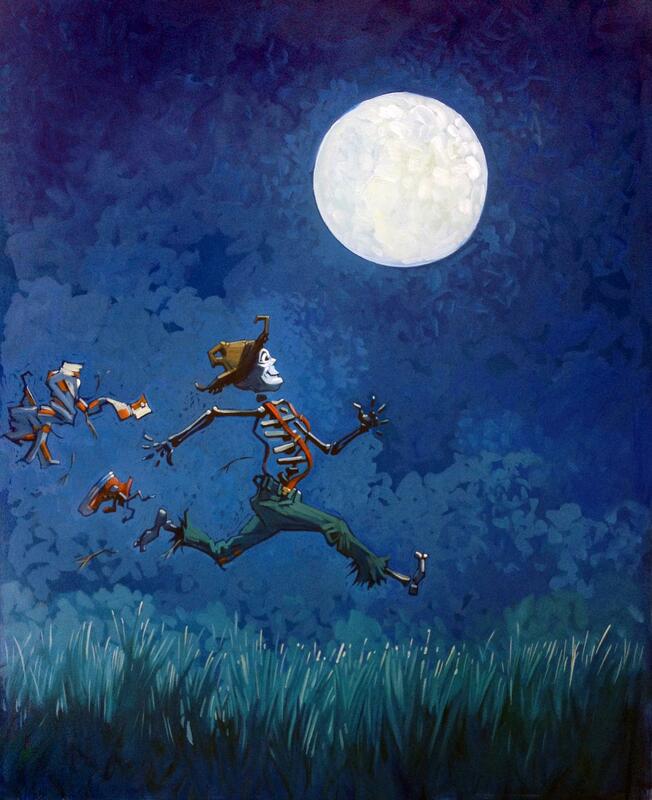 “He creaks and he croaks as he belts out a tune. You each saw that one, right? Or was there one of you who hadn’t? I loved seeing this. If you see picture books a whole, whole lot, as I do, many of them start to run together. This one … it stands out. And it makes me want to snap my fingers and be in a school library again for story time. Travis: I’m the only one here that hasn’t seen Scarecrow Magic. Maybe it’s for the best. I don’t do well with scary. I’m a “read scary books during daylight hours or, if it has to be at night, with all the lights on and maybe some cheerful background music” type of scary book reader. Once I made it about ten feet into a haunted house. That was a pretty big accomplishment. “Goblins jump rope with a double-Dutch vine. Minh: Have I seen Scarecrow Magic? Not only have I seen it, but I see it every time I close my eyes and every time I fall asleep when it haunts my restless nights. 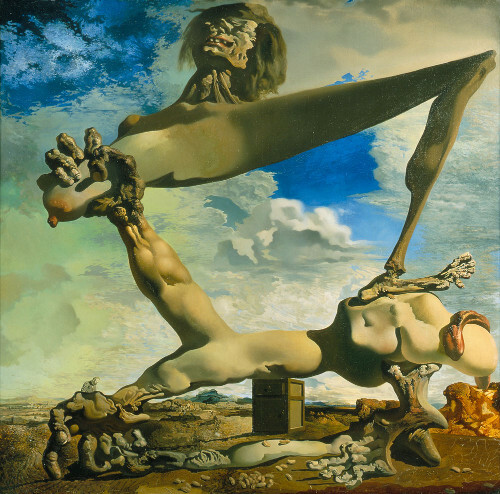 a kind of psychological mirror–it invites the audience to see the worst thing they can imagine, and demands that the audience go away knowing that about themselves. Throughout the book there is an ominous darkness lurking in the woods. We never know exactly what is out there, only that “terrible things hid in the trees.” It could be anything from big scary monsters, a pack of ravenous wolves, or something more cerebral — a chilling existential dread, perhaps? This is right in line with Manlove’s definition of horror, because the unknown darkness of the woods is exactly the kind of psychological mirror that we can (and do) fill with our deepest fears. 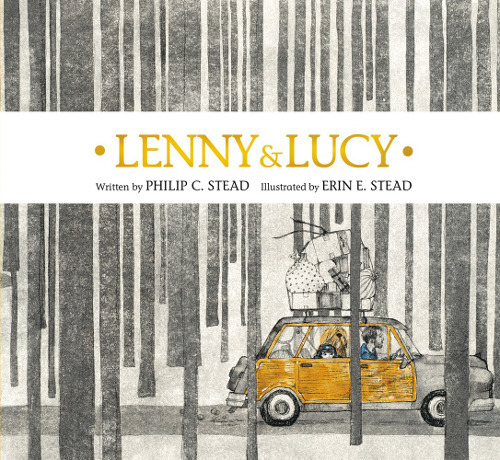 “At night Peter and Harold looked from the upstairs window, past the wooden bridge, out to the dark woods. Terrible things hid in the trees. 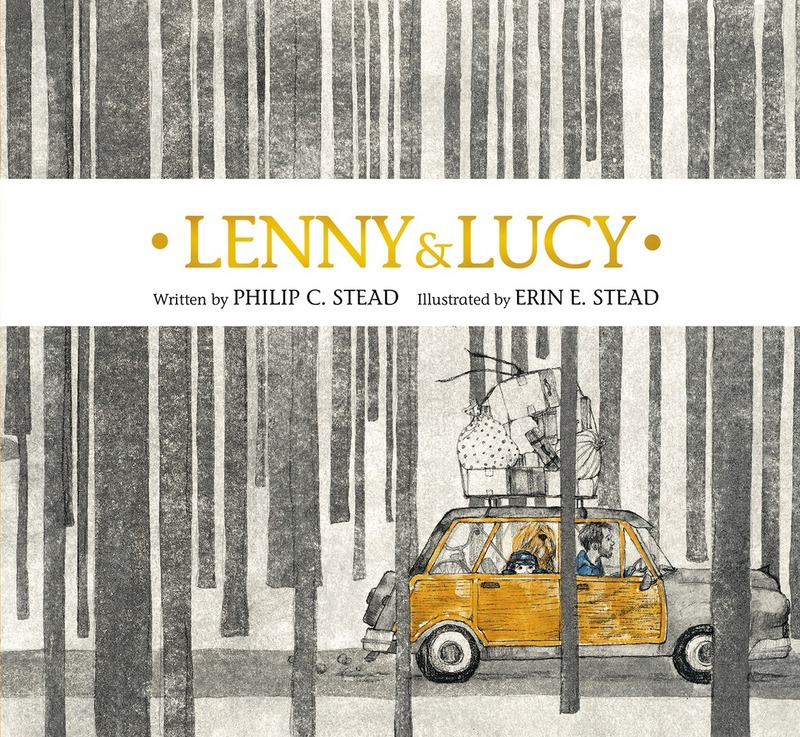 I wrote this in another post, but Lenny & Lucy is smart enough to know that life isn’t always about conquering your fears — that sometimes the best you can do is huddle up with a friend and hope that the terrifying things in the forest remain at bay. Of course, for me that terrifying thing is the scarecrow from Scarecrow Magic. If he came running out of the dark woods, I don’t care who I was huddled up with. I would straight-up pee my pants. Jules: I love that second Lenny & Lucy spread up there so much, the window one. It blew me away the first time I saw it. For my part, Scarecrow Magic has nothing on what I consider the scariest appropriation of children’s literature on the web: Children’s Stories Made Horrific. I just read a new entry on Winnie-the-Pooh and, thank you, but I don’t think I’ll be going to sleep anymore. The Very Hungry Caterpillar haunts my dreams. 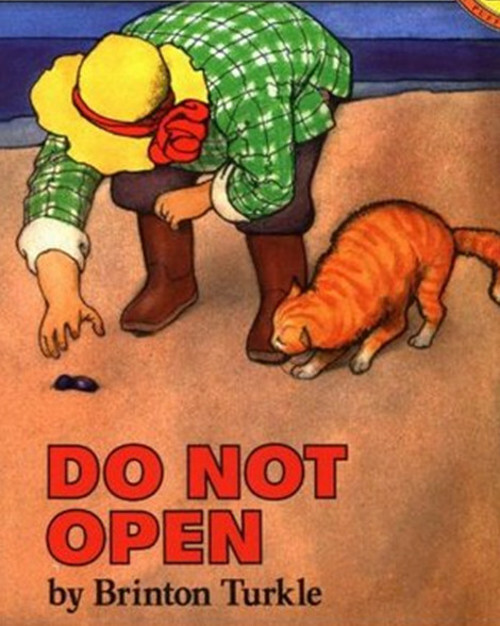 The Little Prince reads like a Ray Bradbury story someone found in a drawer. And as for Love You Forever, however creepy I found it before is nothing compared to how creepy I find it now. Travis: Roger Ebert said of Errol Morris’s 1978 pet cemetery documentary Gates of Heaven, “I have seen this film perhaps thirty times and am still not anywhere near the bottom of it.” This is how I feel about Lenny & Lucy. Like it holds deeper truths that take time to reveal themselves. Although I’m a pretty big chicken, I just realized that one of my all-time favorite picture books is a scary one (well, I suppose more spooky than scary) — Bone Dog by Eric Rohmann. Any book that kills off the dog—the ultimate turn-off for many readers—and manages to redeem itself deserves high praise. When Ella (the dog) comes back in ghost form to save the day, scaring away the posse of imposing skeletons, it’s a beautiful moment. A bizarre, beautiful moment. 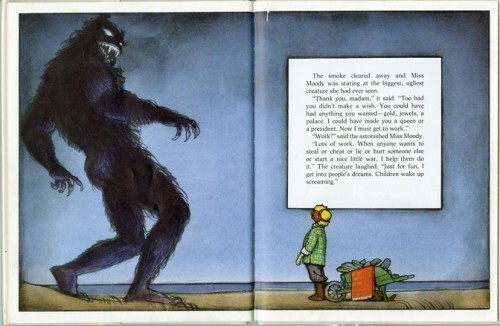 With all this talk about scary, I have to mention a book that has unintentionally struck fear in the hearts of children for years: The Giving Tree. 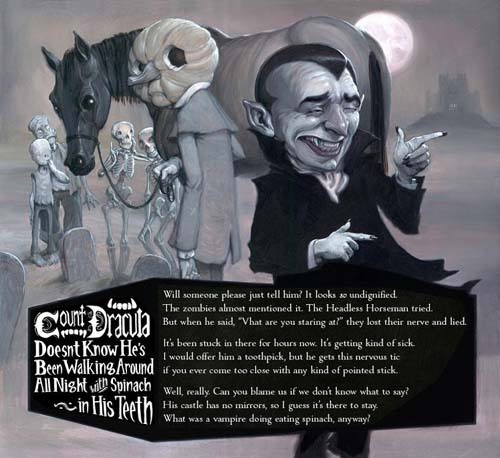 Specifically the back cover, which features a foreboding image of author Shel Silverstein. This is nothing new — that author photo is so well-known it’s been a gag used in one of the most popular series ever, Diary of a Wimpy Kid. Jules: I want to hang with those mask-wearing kindergartners. … Which is to say: He’s got an insta-scary Halloween costume there. Travis: Horror parodies seem to be a 21st-century trend as well. Goodnight Goon and The Runaway Mummy, Frankenstein (a play on Madeline), Pat the Zombie, and so on. HOLLY HOBBIE? you say. I mean, right?! I love it. Betsy: Author/illustrator Elizabeth Rose Stanton drew my attention to a book that was freakish but has never raised so much as an eyebrow from the normally apoplectic Amazon-reviewing crowd. Brinton Turkle is more likely to be associated with adorable Quaker moppets than the stuff of nightmares, but that’s the kind of thought you’ll have only if you haven’t seen his somewhat magnificent Do Not Open. By the way, I just spent an inordinate amount of time attempting to find a middle-grade Stephen Gammell cover from the late ’70s that I once had the misfortune to stumble across in my old children’s book section. It was pre-Scary Stories to Tell in the Dark, but clearly the man’s talents were well in hand. It featured a desolate prairie and, in the sky, a mouth with too many teeth. A cookie to anyone who can identify it. Minh: A desolate prairie and, in the sky, a mouth with too many teeth? I’ve got it! I’ll take my cookie with extra chocolate chips and a glass of milk, if you please. My turn. I was just trying to jog my memory on the title of a scary book and had to Google “picture book, doll come to life, black and white, photographs, terrifying, I want my mommy, the horror… the horror…” Any guesses? I know that these books are beloved by many, but the Dare Wright doll books (e.g. The Lonely Doll and The Little One) give me the chilled-to-the-marrow heebie jeebies. Maybe I would have a different take if I had read these as I kid, or maybe it would have been fine with different illustrations, but I find the black-and-white photographs of a sad doll wandering through the world to be absolutely terrifying (those vacant, yet all-consuming, doll eyes). Jules: I’m still trying to wrap my head around the notion of any kind of horror in the Steads’ book. I didn’t see that coming. But that’s why conversations like these are never boring. I just listened, incidentally, to the Steads’ chat with Matthew Winner, and they mentioned how they didn’t want Lenny, Guardian of the Bridge, to be goofy or scary — and that they thought of him as a golem-like character. Minh: “Horror” might be the wrong word for this discussion. I mean, I think it fits in with Manlove’s definition I mentioned earlier, but it’s not like the Steads have decided to pick up where Wes Craven (R.I.P.) left off. You’re gonna have to ‘fess up on the Gammell book, Bets. I’m not sure of this one. Did he just do the cover, or did he write this too? Betsy: Just the cover. It doesn’t exist on the internet, insofar as I can tell. And how do you track down book jacket information anyway? I guess I could ask him directly, but that seems risky. I love Minh’s interpretation. 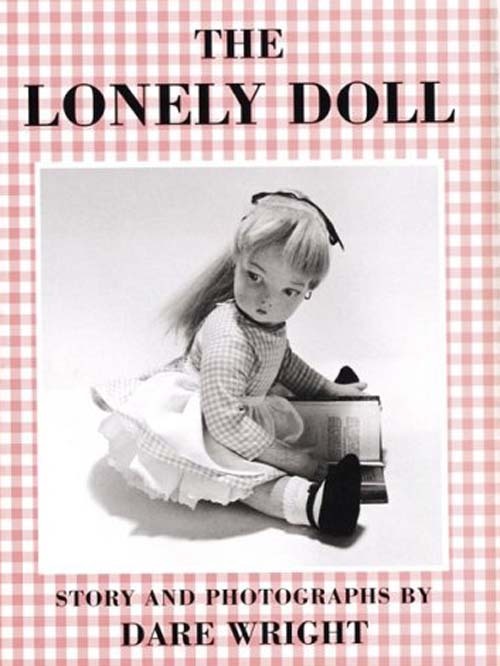 As for The Lonely Doll, many was the time I’d be eating my lunch at my desk, next to the picture book room, and I’d hear a parent start to read to their kids that very story. Concede me this much, though: Those are dang good photos. 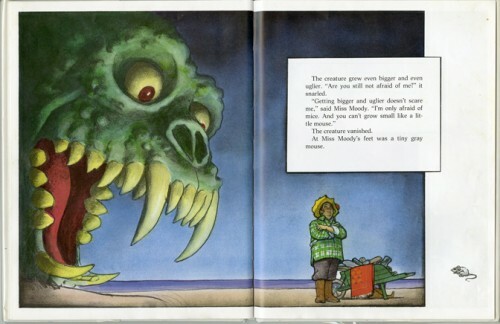 I’m trying to think of the children’s books that scared me as a child. My daughter is currently eschewing all books involving giants. Which is a bit ironic when you consider the only picture book I ever wrote (doggone it). Minh: Okay, fine. I’ll concede that the photography in The Lonely Doll is very well done — kind of like the cinematography in The Exorcist was totally first-rate. 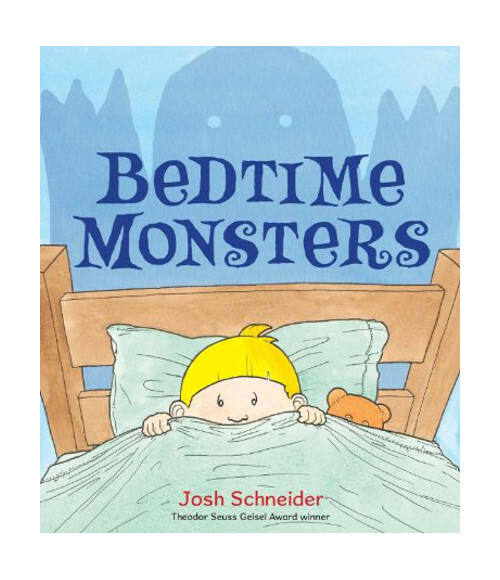 A book that I really liked from a few years ago is Bedtime Monsters by Josh Schneider, which puts a spin on the “scared of the dark” story line. 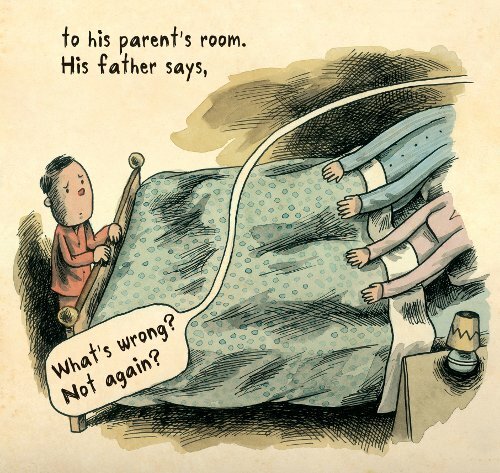 And even though there is a fun twist/resolution at the end of the book, after reading it once, I realized that I couldn’t read it with my son at bed time because just introducing the idea of monsters in the dark was enough to keep him up at night. But this raises an interesting question: How large is the gulf between what grown-ups think will be scary for kids and what kids actually find scary? I thought Bedtime Monsters would be fine, but I was wrong. I found Scarecrow Magic terrifying, but my son thinks it’s hilarious. Jules: This is a good question, Minh. We gatekeepers of children’s lit sometimes think we know what’s right and find out we’re very wrong. I’d say the gulf is undefinable and always depends, but it’s good to keep in mind that we may not always know what’s best. 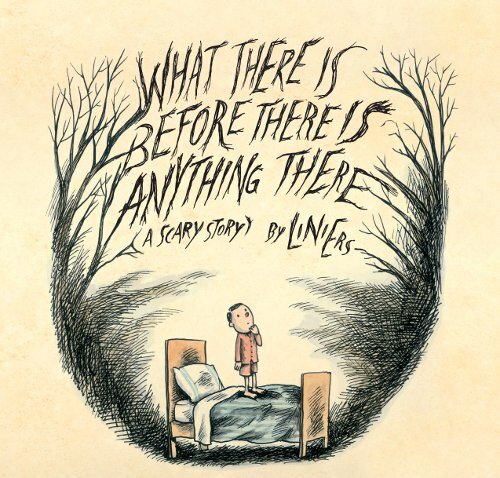 I should probably wrap up the conversation, which has turned into a lovely, long string of titles, but your question made me think of this, Minh: I loved Liniers’ What There Is Before There Is Anything There, an import from 2014. I wrote about it here at Kirkus (and he and I talked about it a bit here), so all my rambling thoughts are in those places. I had a fascinating conversation with someone recently who essentially thought the book demonized darkness. For this person it all very much symbolized death, and she didn’t go for the idea that we should scare children in this way about the end of life. 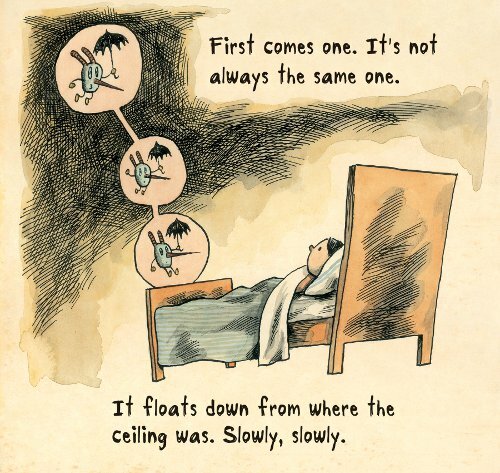 I get that, but to me the book was comforting, because it seemed to perfectly capture the weird night phobias I had as a child. I was tremendously relieved that someone else seemed to get it. Not for a moment did I think of death when I read the book. Which is all to say: Yes, we all come to books so differently. This conversation I had with this other reader reminded me of how, once books are out there, they become various things to readers. I guess I’ll wrap this up now. Thanks for chatting with me! 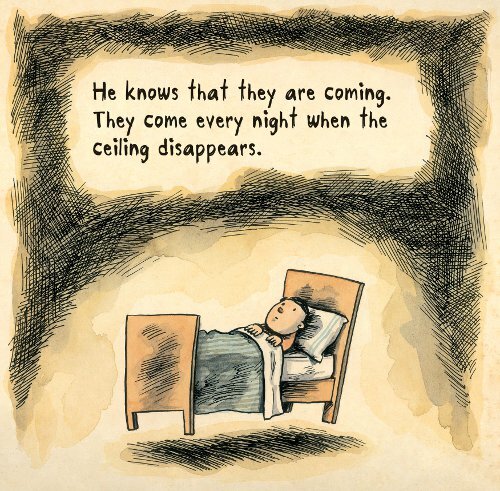 Maybe readers will leave in the comments the picture books that bring them chills. HANSEL & GRETEL. Copyright © 2015 by Holly Hobbie. Published by Little, Brown and Company, New York. Illustrations reproduced by permission of the publisher. LENNY & LUCY. Copyright © 2015 by Philip C. Stead. Illustrations copyright © 2015 by Erin E. Stead. Published by Neal Porter Books/Roaring Brook Press, New York. 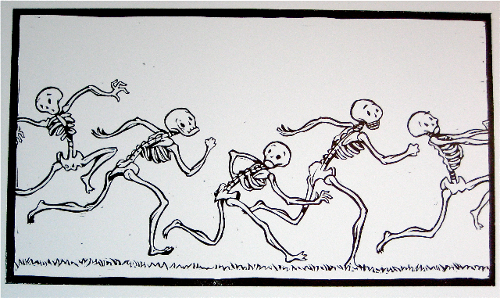 Illustrations reproduced by permission of Erin E. Stead. 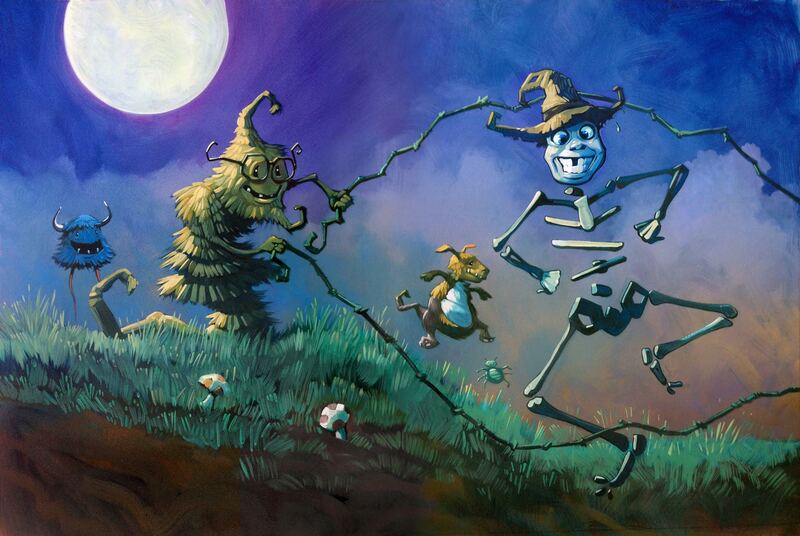 SCARECROW MAGIC. Copyright © 2015 by Ed Masessa. Illustrations copyright © 2015 by Matt Myers. Published by Orchard Books, an imprint of Scholastic, Inc. New York. Illustrations reproduced by permission of Matt Myers. THIS IS NOT MY HAT. 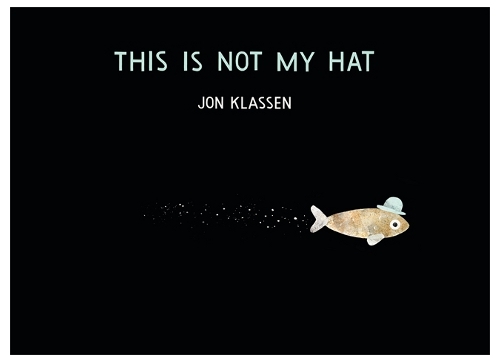 Copyright © 2012 by Jon Klassen. Spread reproduced by permission of the publisher, Candlewick Press, Somerville, MA. WHAT THERE IS BEFORE THERE IS ANYTHING THERE. 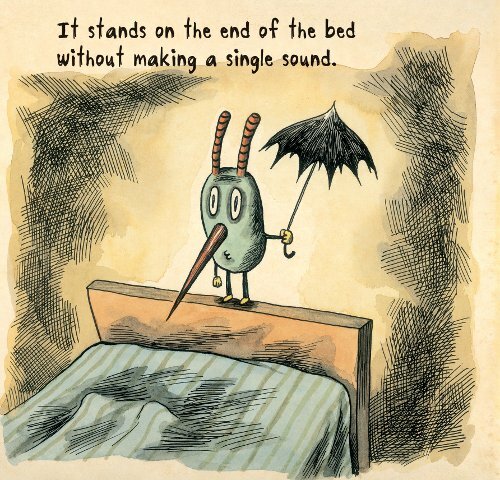 Text and illustrations copyright © 2006 by Liniers. First published in English in 2014 by Groundwood Books. English translation copyright © 2014 by Elisa Amado. Illustrations reproduced by permission of the publisher. 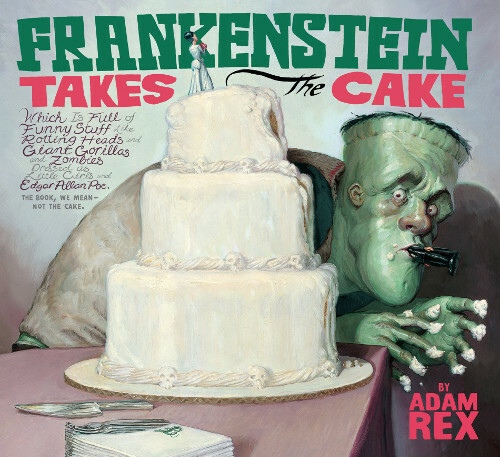 Art from Adam Rex re-posted from this 2007 7-Imp link, which was reproduced by permission of Adam Rex. Art from Eric Rohmann re-posted from this 2011 7-Imp link, which was reproduced by permission of Eric Rohmann. Egad, I have got to get that Hansel and Gretel reincarnation/resurrection. Beautiful. What weirded me out as a kid were the supposedly cute animals drawn by Garth Williams, as in the book Baby Farm Animals. GREAT POST!!! 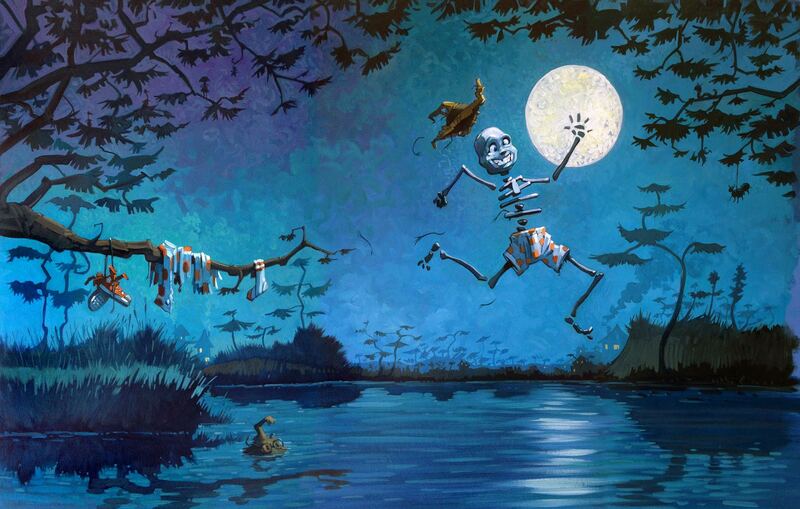 I love Halloween books, and I am so very glad to see a shout out to Bone Dog. It’s my favorite partly because it defies easy categorization. My daughter says “it’s sad and scary AND funny.” Now I have lots more to look into. YAY I cannot, cannot wait to get my hands on Lenny and Lucy. Also, Jules, I am hoping to come see you at Politics and Prose. So exciting! Oh good. I look forward to that event, Cindy. Please introduce yourself if you make it. In the words of Stingray (or was it Lumphy or Plastic? ), Bone Dog is specialness forever. As Halloween is my favorite holiday, I love this post. That Shel Silverstein photo/drawing gag in “Diary of A Wimpy Kid” is hilarious, and holy crow, those Dare Wright covers are scary. What a fascinating post, Jules! These books include many of my all-time (old and new) favorites. One other book I think would be a good addition is Wolf Erlbruch’s “Duck, Death and the Tulip.” Whether children find it “scary” or comforting, it’s haunting, to say the very least. I really enjoyed this discussion everyone. I have seen most of these titles but need to find the new Hansel and Gretel. I really like Scarecrow Magic. I love, love, love Bone Dog. Thanks to all of you. Great discussion and some books there I don’t know… I usually find an undercurrent of fear more unsettling – bit that’s probably becasue I’m like Travis and am out the door when faced by obvious horror! I always read a music-themed story with my very young choir-group at then of each session. When I read Abiyoyo by Pete Seeger, they clamour for it for weeks afterwards and are always on the edge of their seats with eyes as big as saucers. The horror of the description that Abiyoyo never brushes his hair or teeth or trims his nails! One memorable reaction was a child running out to her non-plussed mother shouting, ‘Abiyoyo ate a WHOLE cow’! I enjoyed reading this so much….this was a great post. Love the line “Okay, fine. I’ll concede that the photography in The Lonely Doll is very well done — kind of like the cinematography in The Exorcist was totally first-rate.” by Minh! 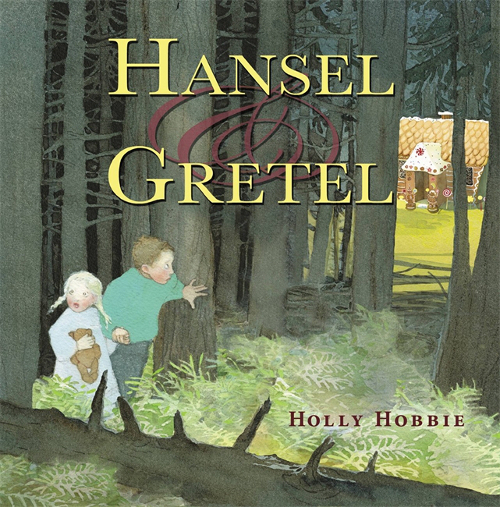 And that Hansel and Gretel book! Wow…need to get my hands on it. How about these for scary Gammell work? How does HE sleep at night?